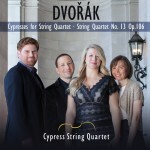 The Cypress String Quartet is a “wonderful ensemble” (Gramophone) whose “extremely fine playing” (The Classical Reviewer) has lent itself to music of Dvořák and contemporary Americans on their recordings for AVIE. 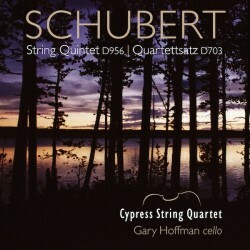 They now turn to core 19th-century fare, some of the greatest chamber music ever written: Schubert’s single-movement “Quartettsatz”, and the composer’s final chamber work, the enduring String Quintet, joined by eminent Canadian cellist Gary Hoffman. 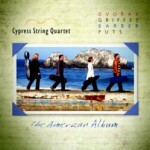 The Cypresses’ elegant and clear signature sound lends itself perfectly to these two masterworks.